Us girls love to smell good, but sometimes our favourite perfumes can be a little bit out of our budget. If you're a girl who's juggling studying and working, or a mum who's looking after children and juggling a job, it can be hard to find the spare cash to fork out on a nice perfume. Today I wanted to share with you my favourite budget perfume - one that I've been using for a while now, and one that I always turn to when I'm trying to save up my pennies and not splurge out on expensive perfumes. 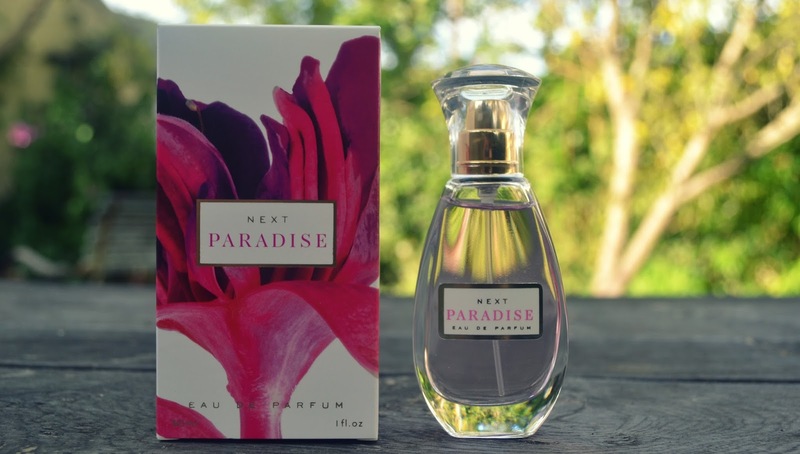 'Paradise' from Next is described as a 'light fruity fragrance with white florals and green notes', and is just £7.50 (for 30ml). It comes in a simple, pretty little bottle which is perfect handbag size (does anyone else have a bad habit of lugging huge bottles of perfume around with them?) and looks lovely. Although all perfumes from Next are very reasonably priced, this is my favourite scent of all. Light, delicate, floral and slightly fruity, this perfume is long-lasting on your skin without feeling too heavy, sticky or overpowering (a few perfume problems I've had in the past to say the least!). If you love light, floral smells then this perfume is perfect, and definitely within a budget. For all you bargain hunters, sometimes you just need a good priced, lovely smelling perfume and this is what I recommend! To view the Next range of perfumes, visit: Next Fragrances. What's your favourite budget perfume? I'm sure I used to have this one and I loved it! 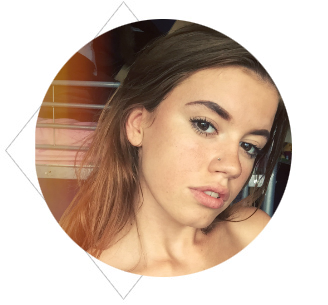 Yes, it's a super old one! I've been using it on and off for a few years now. The next perfume range is really good, my mum and best friend always wear them. I agree - the range is really good. All kinds of smells and scents for everyone! I must admit I have never tried a budget perfume. It is not because I am a snob but I used to work in a cosmetic industry so I still have a lot of contact and means to source what I like in a good price. I didn't know Next did perfume! For £7.50 that is a great price and you give it a good review so it must be nice. Light and floral for summer sounds great. Love this fragrance. ..there not stocking it at the moment....it's just a quiet staple of mine in amongst the bigger brands...it rather holds its own.